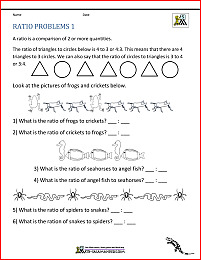 Welcome to the Math Salamanders 5th Grade Math Practice Subtraction Worksheets. 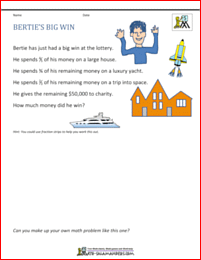 Here you will find our range of Fifth Grade Column Subtraction Worksheets involving decimal numbers, which will help you to learn to subtract decimals with up to 3 decimal places. set out decimal subtractions correctly. 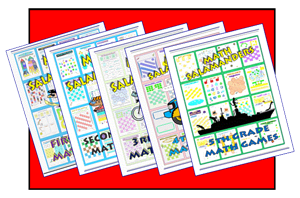 All the free 5th Grade Subtraction sheets in this section follow the Elementary Math Benchmarks for Fifth Grade. 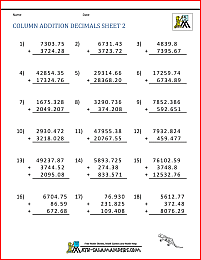 Here you will find a selection of decimal column addition sheets for 5th grade. 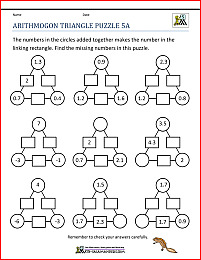 set out decimal addition sums correctly.